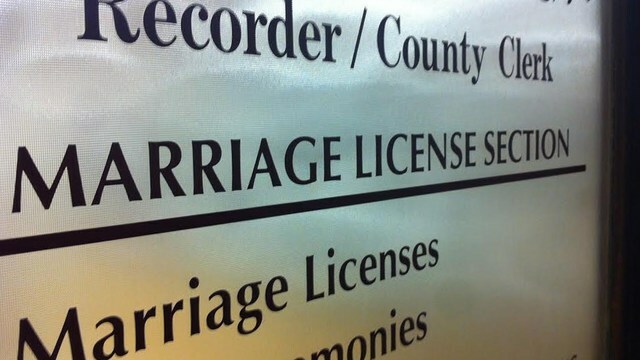 A new Louisiana law will reduce the wait for a marriage license from three days to one. The law takes effect Aug. 1. Currently, people looking to wed in the state have to wait 72 hours to get a license. 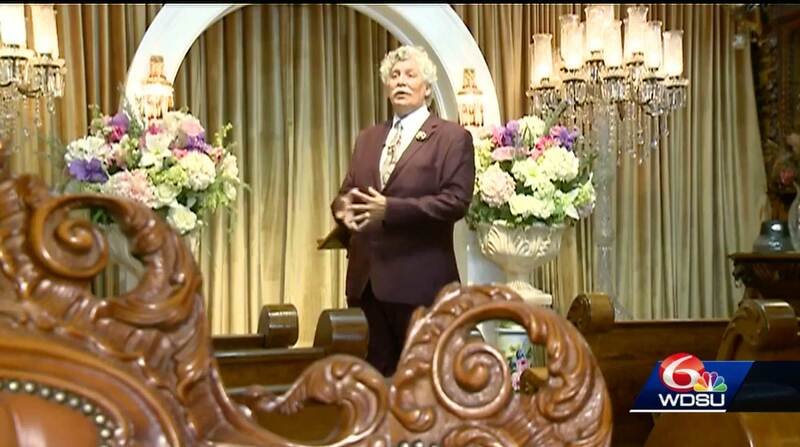 Reverend Tony Talavera runs the French Quarter Wedding Chapel. 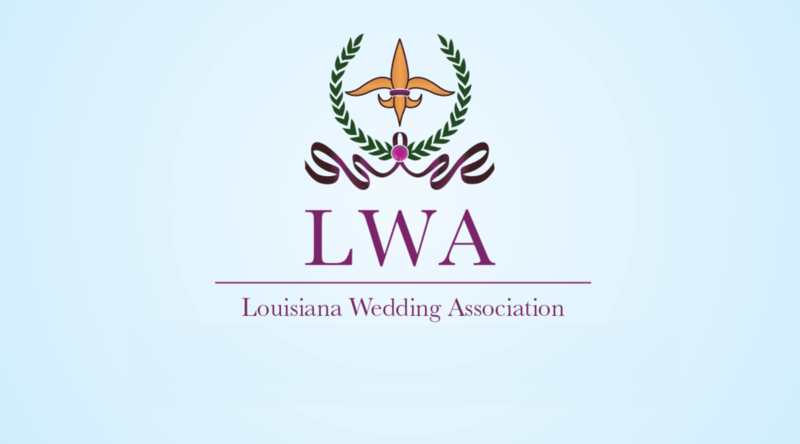 As president of the Louisiana Wedding Association, he lobbied for the law this spring. Talavera said the change will increase the number of destination weddings in the state and boost tourism. Talavera said there is already a couple set to be the first one to get married under the new law. That wedding is set to take place in City Park on Aug. 2, 24 hours after the law takes effect. Our beloved state of Louisiana is a popular and world famous tourist destination, however, the state has not fully recognized the bountiful opportunity to capitalize on all available sources of tourist dollars. Louisiana already faces a billion dollar budget shortfall, and with the decline in the petroleum and film industries, sources of income and growth have become more scarce. This is why we must now closely examine what we have assumed to be a steady source of income previously set to fly on autopilot, based on our innate ability to welcome the entire world to our table to celebrate. This source is the multi billion dollar wedding industry. This is a universal “feel good” industry that is a constant of American culture, most especially in those states gifted with classic romantic backdrops, ready made and abundant natural or man made beauty, plentiful arts in all forms, a strong hospitality industry, welcoming citizens, and diverse cultures known for celebration. Louisiana has all of the above, and so much more, so how is it that we have overlooked this major aspect of the tourism industry? This has become glaringly evident when analyzing the promotion of the wedding industry in both the state of Louisiana and the city of New Orleans. The most shocking point of data analysis: the budget for promoting the wedding and wedding tourism industry in our state in 2016 was zero dollars. This is absolutely mind boggling when there are billions of dollars ready to be handed over happily, by couples and families wanting to plan destination weddings. Worldwide, the global wedding market exceeds $300 billion, of which nearly a fifth is spent in the U.S. alone. With all it has to offer, Louisiana should be in the top five locations for destination weddings. 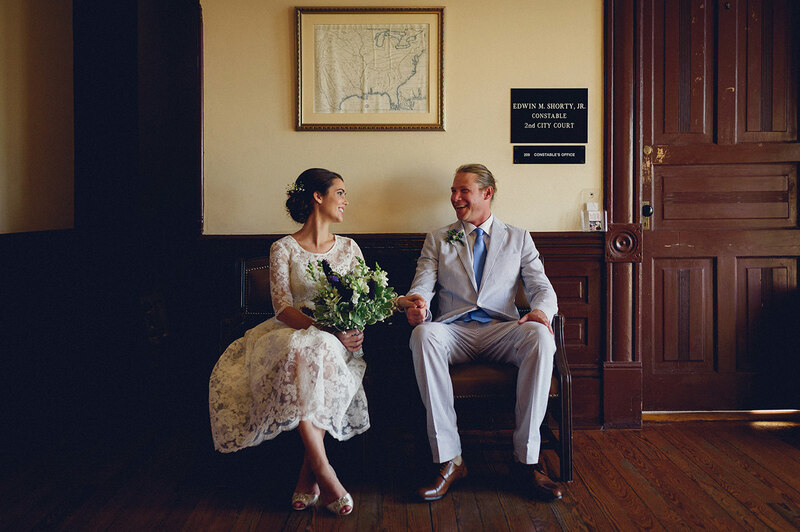 The fact that it is not, that New Orleans is not even in the top fifty of the nation’s cities for destination weddings, costs Louisiana an unthinkable amount of readily available and stable wealth, which would positively affect every industry and business. Unlike any other industry, the wedding industry is hands down, one of the best “feel good” platforms to increase revenue in our state. There is no debate, or down side, and everyone loves a wedding celebration. This is a mere fraction of the national wedding market, and these numbers are shrinking while many other destinations are steady or increasing. However, there are some ways that we can begin to raise our status in the market. If Orleans Parish increased its sales of marriage licenses from 75 sales a week or approximately 4,000 per year, as evidenced by the Orleans Parish Marriage License Registry, to sales of 1,000 licenses a week, we would see a 3 to 5 billion dollar increase in economic development for the city and state. In the U.S., the total estimated number of weddings for 2017 was 2,183,994. The average couple spent $25,764.00 on their nuptials. This year, experts estimate that 57 billion dollars will be spent on weddings in the United States alone. It is time for Louisiana to step up and come to the table. The “seventy-two hour (or three day) waiting period” between marriage license and nuptials is just one archaic restriction that keeps our state from serious involvement in the wedding industry, which will be explained in more detail below. The courts have already struck down another stumbling block on the road to planning a wedding; a legal requirement for each spouse to present their birth certificate. A federal judge declared this practice to be discriminatory against immigrants. This regulation has already cost Louisiana more than $150,00.00 in fees and attorney costs. Another out dated legal practice of requiring black ink to be used on licenses, actually contradicts current general legal standards that would request blue ink for authentic documents due to the methods in which we reproduce copies of documents today. Under our current system, a prospective couple visiting New Orleans cannot get a marriage license after 3:30 PM on a Friday. Our first priority is passing legislation that permits issuing of marriage licenses on demand, even on weekends. This is especially vital for Orleans Parish. We must also address the major misinformation regarding the antiquated yet historically interesting “three day waiting period”, which came to be during the times of Storyville, but today, serves no purpose. Many eloping couples dismiss Louisiana immediately because of confusion regarding this waiting period. There is, in fact, a waiver allowing couples to marry the same day they obtain their license. This needs to be made more evident to shopping couples. While the city and state has the honor of being historically Christian and Catholic with a thriving Jewish community as well as other religions, there are many couples of all denominations as well as civil style celebrations and 2nd time marriages greatly sought after when people from everywhere are booking weddings in New Orleans. Weddings are not seasonal, as are many other tourist peaks. They are a constant, and their frequency and size affects prosperity of all businesses in Louisiana. Couples should have the option to obtain licenses at their convenience, after hours, or at offsite locations. One potential site could be the 8th District Police Station, which is already mandated to be open 24 hours. All such licenses would be issued under the watchful eyes of the law. Other locations are certainly possible. I am presently working on an advanced electronic system for issuing licenses, which can be discussed in person. (Consider the already expedited services of being able to check into a flight via computerized system.) Potentially, this electronic license issuing system could forward information to the Departments of Immigration or Homeland Security if that is deemed necessary. Through this system we could also include an electronic affidavit for both parties, certifying whether they are widowed, divorced, or neither. The present system is extremely biased toward men and women who have not changed their names following marriage. Current officiant regulations are lax and unenforced. Instituting a $100.00 charge for an officiant’s license, extending to present officiants, would remedy this. This license should include official training, perhaps computerized, and would come with an official photographic identification card, as well as an officiant’s license number. Presently, numerous parishes use social security numbers on their marriage certificates, creating a major risk for identity theft. Further, Louisiana requires officiants to maintain copies of marriage certificates for life, with no provisions for what is to be done with the certificates after death. This is onerous for the officiant, and creates hoards of unsecured personal information in the hands of someone perhaps untrained in the keeping of sensitive information that might lead to identify theft or other fraudulent financial or other illegal activities. The cost of a marriage license has not increased in twenty years. An increase from $27.50 to $77.50 adds little financial hardship to even a financially struggling young couple; couples unlikely to be traveling for purposes of a destination wedding. A further out of state resident fee of $50.00 would add considerable revenue without taxing Louisiana residents. We must raise the price for a certified copy of the marriage license from $5.00 to $15.00, as well as increase the postage cost. The office that mails Louisiana marriage licenses charges only .50 cents for postage. It costs more than a dollar to mail the newlyweds their certified copy of their marriage license. We lose money on every single certified copy. California and Gatlinburg, TN have suffered from extensive fires. Las Vegas is on the decline. New Orleans and Louisiana stand strong. The wealth described in these pages is like delicious fruit, ripe for the picking, or glittering diamonds shining in the sand. It’s a call to attention that will allow wealth to trickle from wedding celebrations (which are joyous occasions for all) celebrated in our state, to every business or service industry that continues to provide the hospitality and charm that keeps the tourists flocking to our open arms. There is no reason that Louisiana should not be one of the foremost destinations for marriage, and there is no reason the citizens of this state should not know the prosperity that results from a vibrant and flourishing wedding industry. New Orleans is, after all, on the bucket list for the entire world. I think this is an excellent and positive platform for any and all groups or individuals concerned in the success of our state. Thank you for taking the time to read my data and presentation. I aspire to live up to my unofficially bequeathed local New Orleans title of “Ambassador of Romance” for and on behalf of Louisiana. We have so much to gain! I look forward to your reply.